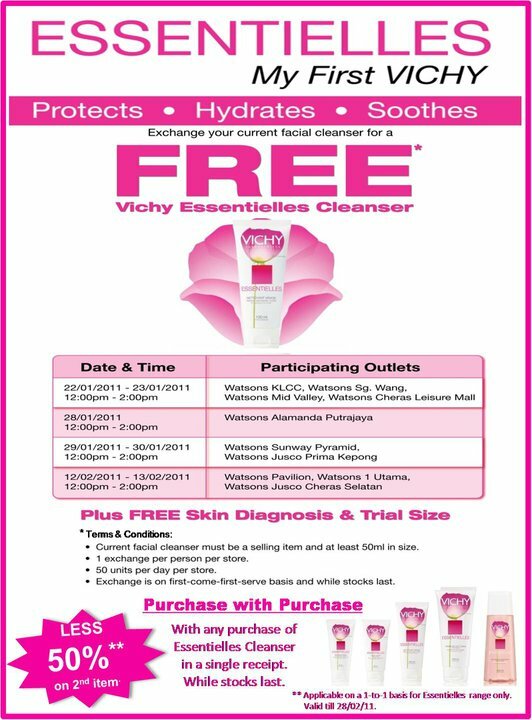 Want to get a FREE Facial Cleanser 100ml from VICHY? 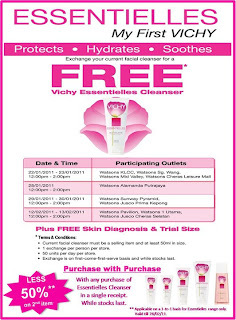 Just simply exchange your current cleanser at the participating Watsons counters and you'll get VICHY cleanser FREE! I had exchanged mine at Watson Sungei Wang this noon. I was the 1st there at 11:45am and there was not very crowded even when they started the exchange programme at 12pm.